Miami, Florida – June 18 – 19, 2018. Netarus’ CEO Chris Machut will be panelist on a round table discussion called ‘Round-table: Hook cameras and other crane operator aids’ at Tower Cranes North America at the Miami Marriott Biscayne Bay in Miami, Florida. 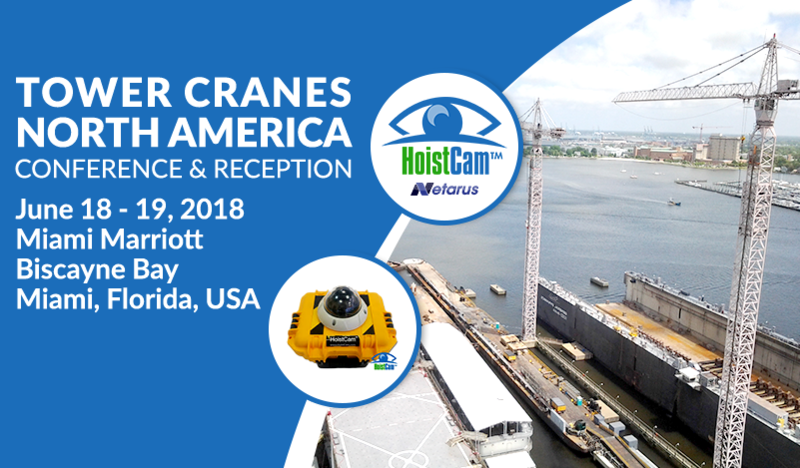 For more information about the conference, please visit http://hoistcam.com/hoistcam-by-netarus-at-tower-cranes-north-america-june-2018/.